Australia's Great Barrier Reef is dying at an unprecedented rate. 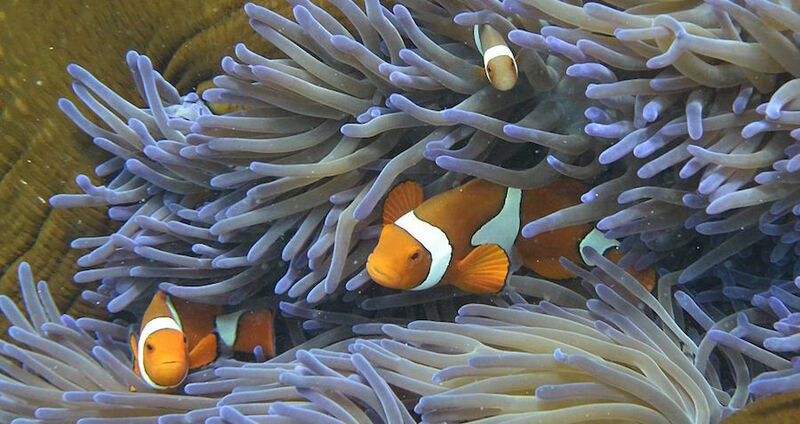 WILLIAM WEST/AFP/Getty ImagesFish swimming through the coral on Australia’s Great Barrier Reef. Populations of marine mammals, birds, reptiles and fish have dropped by almost half in the past four decades. Australia’s Great Barrier Reef is in major trouble, and it’s because of climate change. A new study published in the scientific journal Nature shows that an increase in ocean water temperature last year caused the coral reef to undergo widespread “bleaching,” which happens when the coral expels the algae it uses for food. Coral only does this when water temperature crosses a temperature threshold, as the spike in warm water causes algae to produce toxins. In order to survive, the coral expels the toxin-emitting algae from its interior. However, while coral can sometimes recover from bleaching by growing new algae, it often doesn’t — starving to death or falling sick instead. Scientists doubt we’ve seen the last of these bleaching events. Indeed, as climate change turns water temperatures up a notch, these bleaching events will occur at greater and greater frequencies. As this happens, weedier species will take over and displace older coral species, which take decades to establish themselves. Still, the study’s authors concede that there may be hope yet if we intervene properly. While other forms of pollution are damaging the reef, the increase in temperature is the main killer, according to The Washington Post. Coral in cleaner water is dying at the same rate as those in polluted environments.